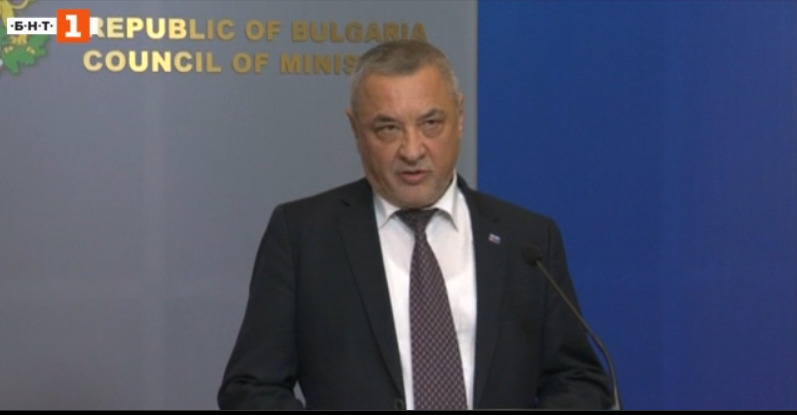 Bulgaria’s Deputy Prime Minister Valeri Simeonov has submitted his resignation to Prime Minister Boyko Borissov. He announced his decision to withdraw from office at an extraordinary press conference at the Council of Ministers on Friday evening, 16th of November. He said that his decision was not made under pressure and the reasons to resign was an ongoing media campaign, especially over the past two days, which came as a sequel to a campaign carried out against him in connection with his statement about protests in front of the Government building. "The sequel to this campaign, already does not focus on me personally in my official capacity, but on MPs of the NFSB," Simeonov said, referring to the National Front for Salvation of Bulgaria party. Simeonov is the leader of NFSB party, which is part of the power-sharing United Patriots alliance. Prime Minister Boyko Borissov has accepted Simeonov's resignation, the Government press office said. Valeri Simeonov added that he did not resign under pressure but did so in order not to damage the country's governance, which he described as exceptionally successful. And he stressed that his decision was personal. "I am aware that this campaign deals a blow on the government's rating and becomes an obstacle for the governance - I cannot afford this, I repeat - it is not about me as a person, but about the governance of Bulgaria, on which I cannot weigh as a millstone and create preconditions for protests and attacks. It is not my childhood dream to be a prime minister and I have taken this position on the insistence of my partners to be a guarantor. I have not thought that one can enter the executive to get some benefits. My departure aims at depriving the protests of their cause, at least in part. There is no drama, I do what my conscience tells me. I do not make the decision under pressure, I have decided to do so this afternoon after I consultations with NFSB," he added. Valeri Simeonov’s resignation comes after 26 days of daily protests, staged by mothers ofdisabled children, including one this evening. The protests were sparked by Simeonov' remarks on SKAT TV on 16th of October in which he described them as "a group of loud mouthed women who speculated with their children, manipulated the public, exhibiting allegedly sick children in hot weather and heavy rain outside the Parliament". After consultations with the Coalition Council,Simeonov publicly apologised for his words on 24th of October. However, the protesting mothers did not accept the apology and went on with the protests insisting on Simeonov’s resignation.